On Black Friday, I wandered into Ulta to see what kind of sales they had going on. 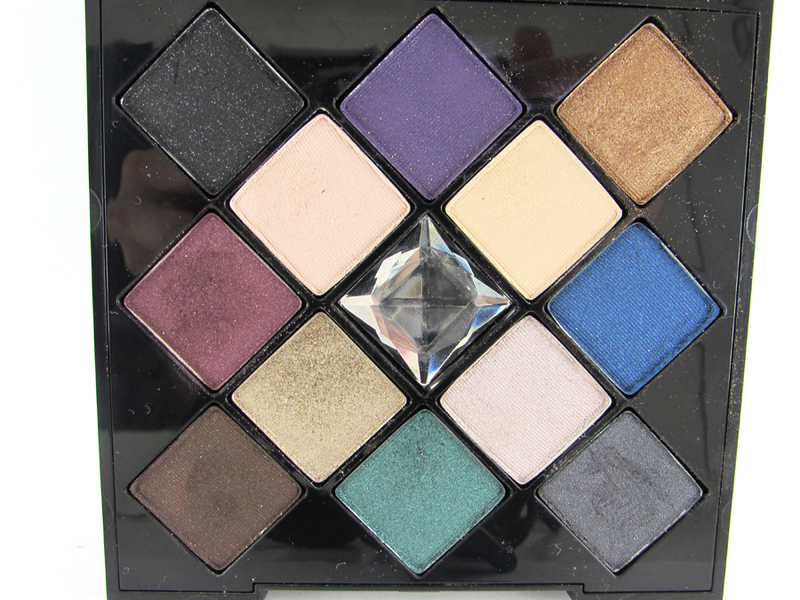 Even though I totally didn’t need another eyeshadow palette, I saw this one and fell in love. Smashbox brand? (As in one of the best in the biz?) CHECK. 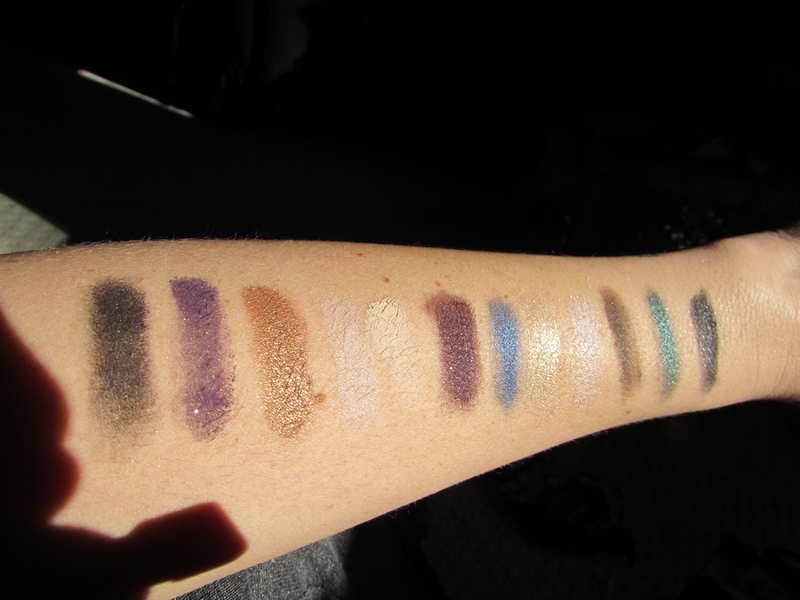 Twelve gorgeous, buttery, super pigmented shades? CHECK. Priced at only $3 per shadow? CHECK. The Smashbox On the Rocks palette went from being that thing I didn’t think I needed, to that thing I use EVERY single day. Like I said, I love the packaging. 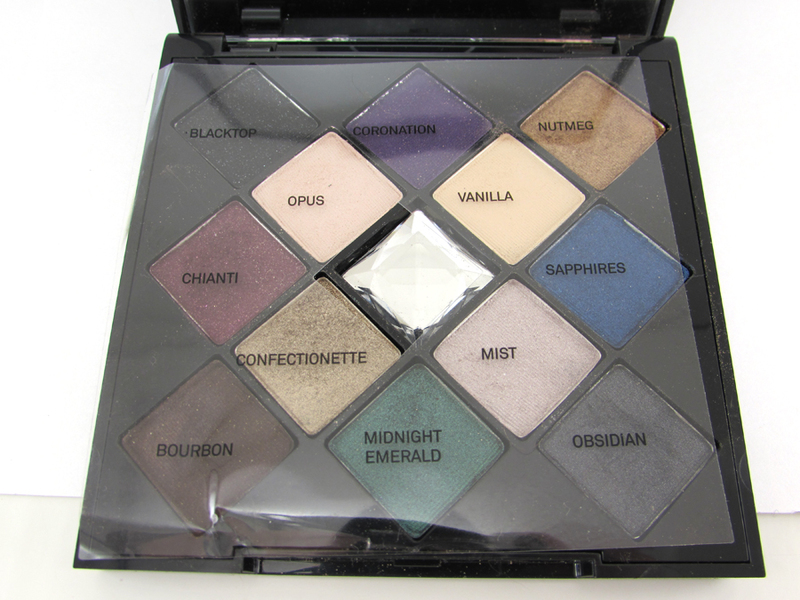 The whole palette is only about 5.5″ x 5.5″ (square), and it’s the perfect size to fit in your hand. Plus, it was really hard to capture on my camera, but the jewels on the outside have a shimmering, rainbow glow to them. 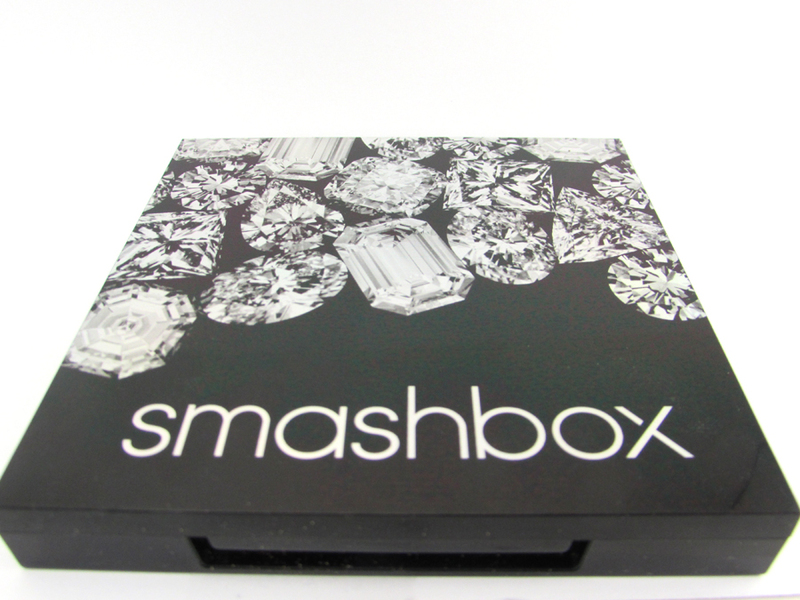 Over the shadows, Smashbox placed a clear, film overlay printed with all of the shadows’ names. What I love about this is that you can just take the film off and set it aside. A few companies have the overlay, but it’s attached to the packaging, making the shadows hard to get to. Can we just take a minute to swoon at these shadows? Like I said, every single shade is beautifully pigmented. One swipe with your brush, and you have near-perfect opacity. They do tend to be a bit on the soft side, but as long as you’re gentle with your brush, you’ll have no problems. Swatched over bare skin (no primer). Each shade patted on with two layers only, in sunlight. Left to right: Blacktop (charcoal black with silver glitter), Coronation (blue-toned purple with blue sparkle), Nutmeg (gorgeous bronzed gold, very metallic), Opus (shimmery blush color), Vanilla (matte off-white color with pink undertones), Chianti (MY FAVORITE! 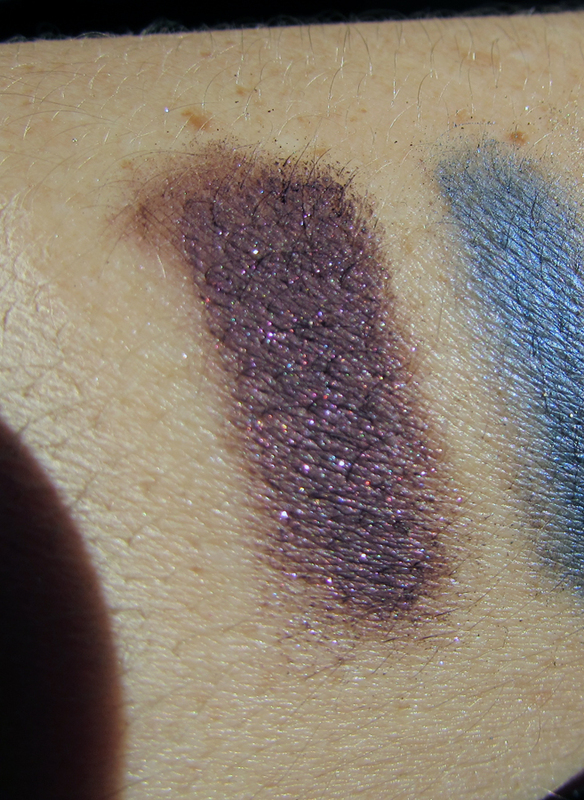 Wine color with mixed shimmer), Sapphire (bold metallic blue), Confectionette (highly metallic champagne-gold), Mist (shimmery purple/pink), Bourbon (hot-chocolate-brown with slight glitter – the hardest of the shades to work with), Midnight Emerald (STUNNING metallic emerald green), Obsidian (slate gray with tons of blue sparkle). My swatch just does NOT do Chianti justice! I purchased this palette for $36 at Ulta. BAD NEWS: Doesn’t look like they have it available on their site any longer. GOOD NEWS: They DO have it on Amazon for only $23.99 with free shipping! Overall, I think this palette has a fantastic mix of bright colors! 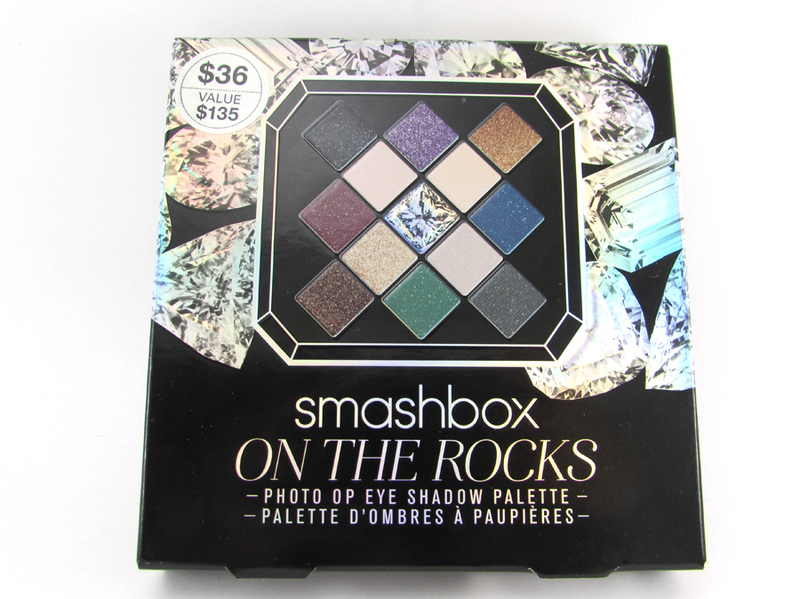 As most of the palette is shimmery, you’ll most likely want a few mattes to break up the glitter a bit, but otherwise, I think Smashbox really hit the nail on the head with this one. ← IMATS NYC 2015 tickets are on sale! Yes, having only one matte shade in this palette does make it so that I have to grab another palette to complete a look, so I totally feel you there. I feel like if there had been just ONE matte brown in there, it would have literally been perfect. Thanks so much, doll! Just followed you – LOVE your blog layout!